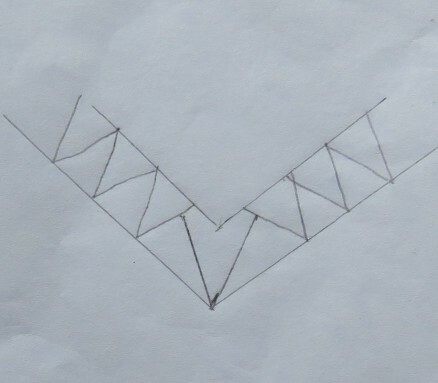 As already mentioned in Schwalm Designs – Knife Points (1) it is possible to decorate simple Schwalm motifs by outlining the shapes with knife points placed close together. 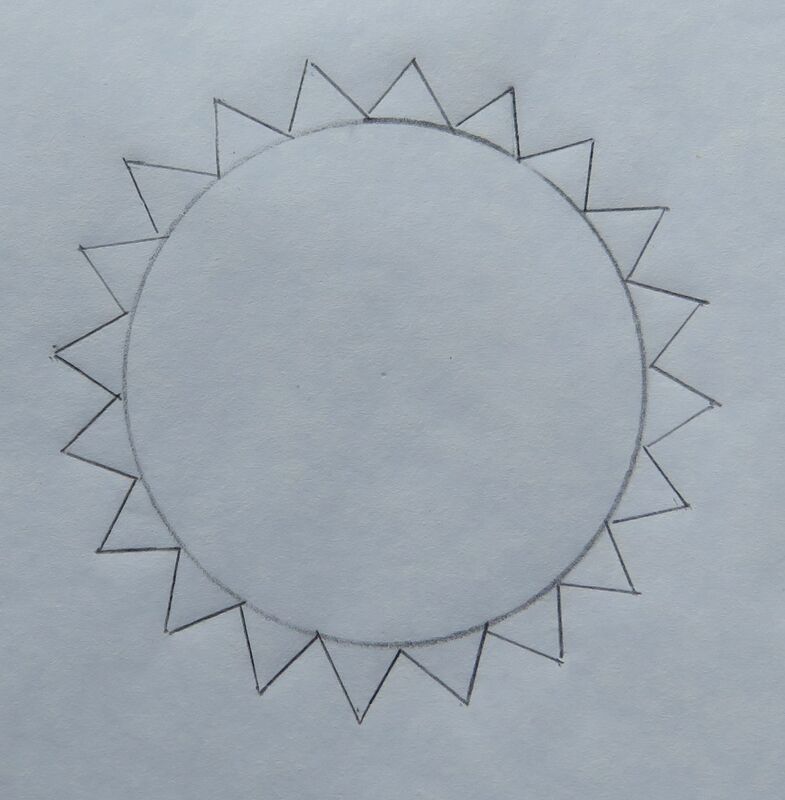 But how can one get uniformly sized and evenly distributed knife points around the edges of a shape if a computer drawing program is not available? 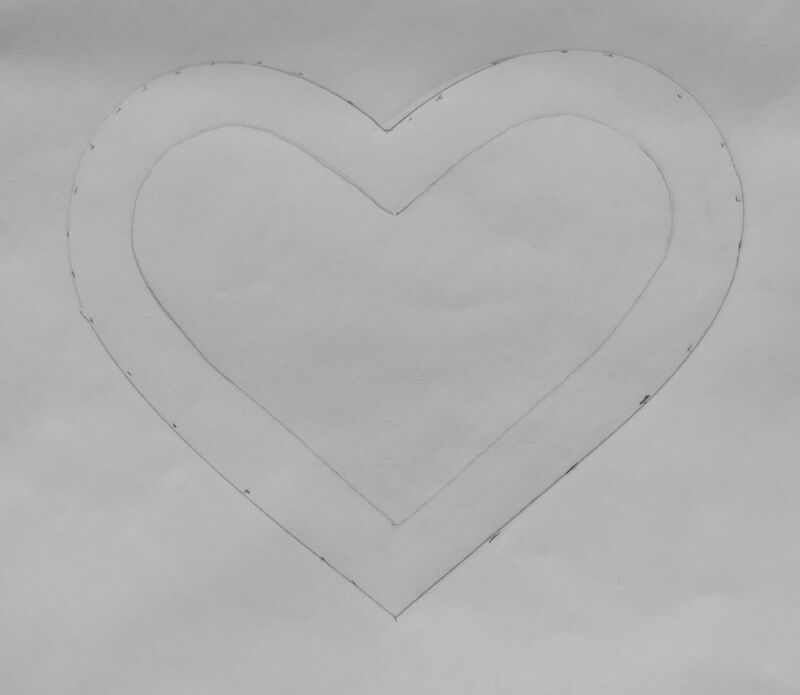 For an example, I will describe the process for adding knife points to a heart shape. You will need a stencil for the motif, tracing paper, a sharp pencil – a mechanical pencil is best – a triangle, and an eraser. 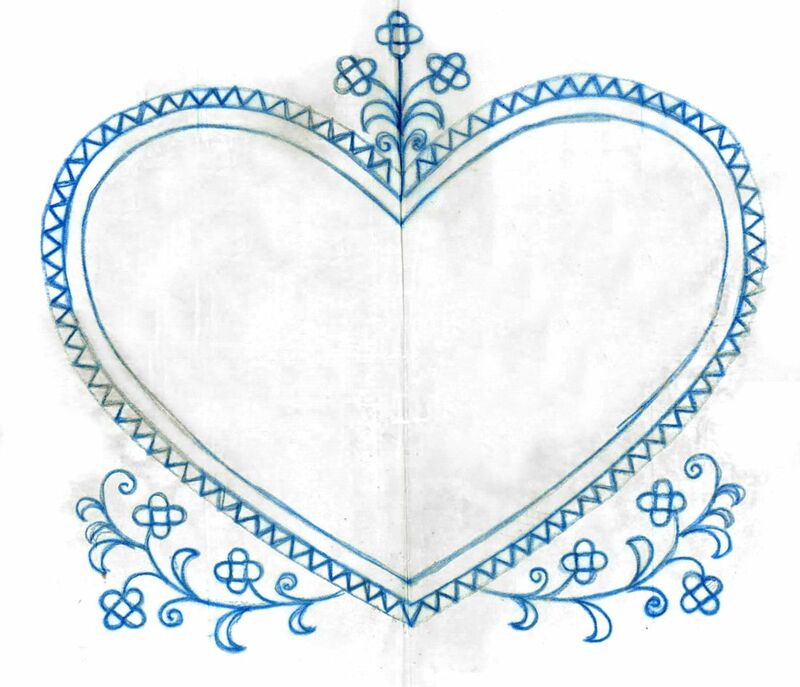 Using the stencil, a heart shape is drawn on the paper. The knife points should measure 0.8 cm in the width and 1 cm in the height. To establish a guideline for the height of the points, dots are marked 1 cm outside the outline with a short distance between. 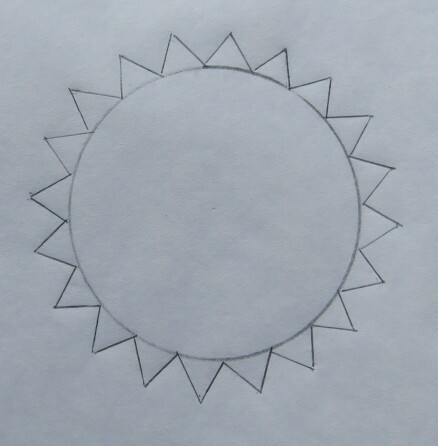 Later the dots will be connected to make a line. 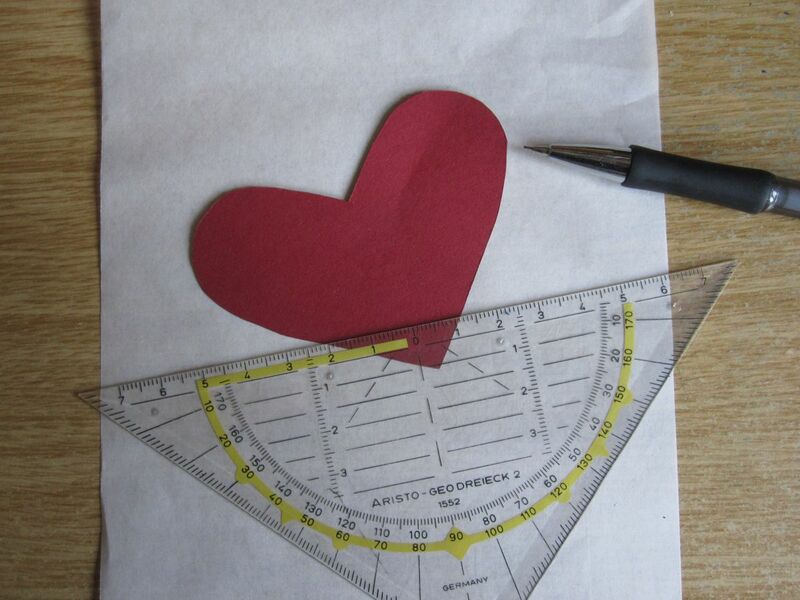 Starting at the lower heart point of the inner line, a mark is made every 0.4 cm around the heart. 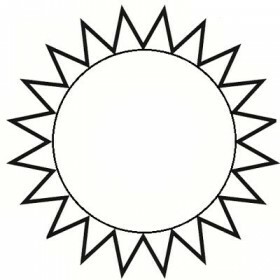 At every second mark, a perpendicular line is drawn outwards from the inner line to the guideline. To establish the knife points, the remaining marks on the basic line are connected to the intersection points of the just-drawn lines at the guideline. Reaching the top of the heart, either the lines of knife points end before the center point – leaving a small distance free between the last knife points and the heart’s upper point (on the right of the above picture), or the last knife points (on both sides of the concave point) are slanted a little so to be able to fit down into the concave point (on the left of the above picture). 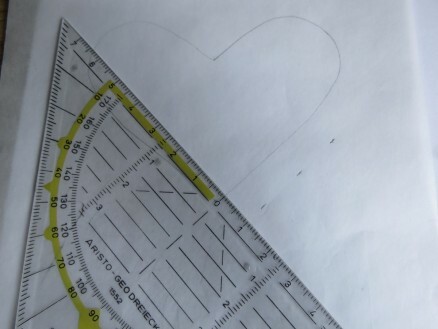 or to make the bottom point wider without changing the distance of the marking points on the basic line. Although scallops are approximately twice as wide as they are high, the knife point decorations should be either as wide as they are high or a little bit higher than wide. 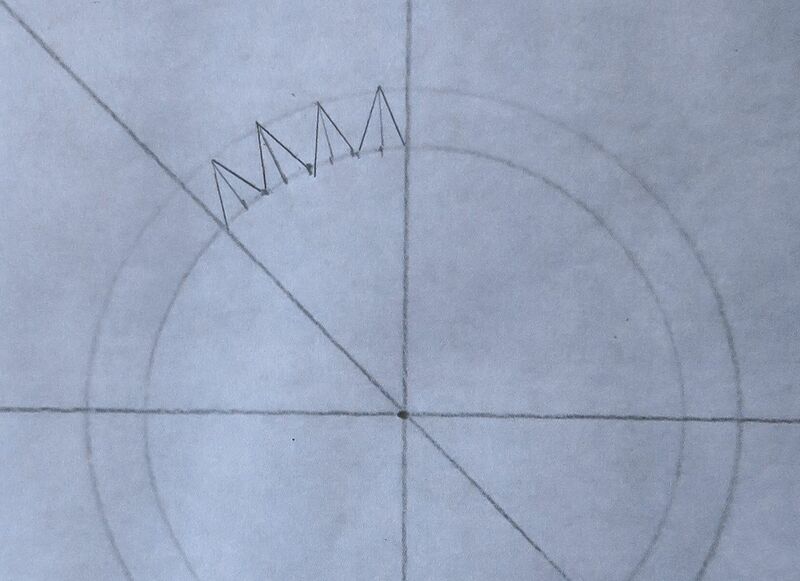 Knife points are easier to work if they are somewhat higher, and thus more pointed. 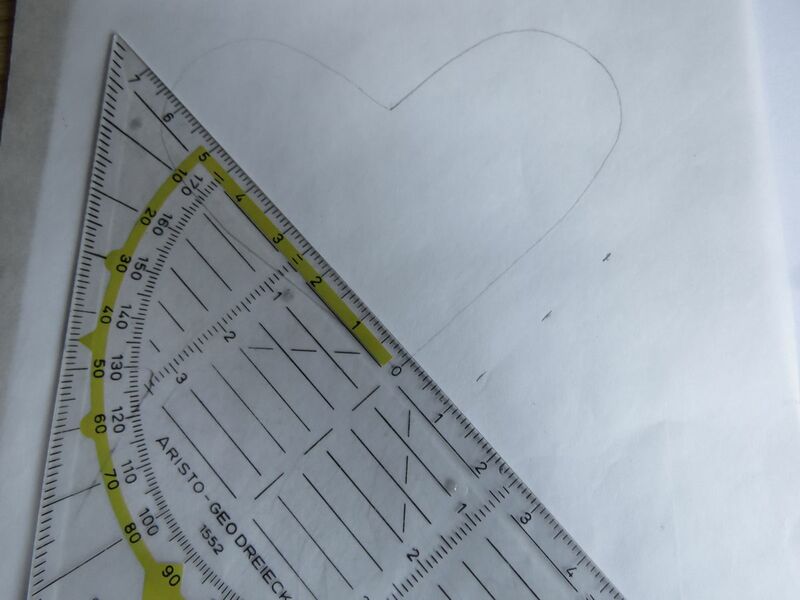 On the other hand, I think the corner arrangement looks more pleasant when the knife point’s height and width measurements are equal. 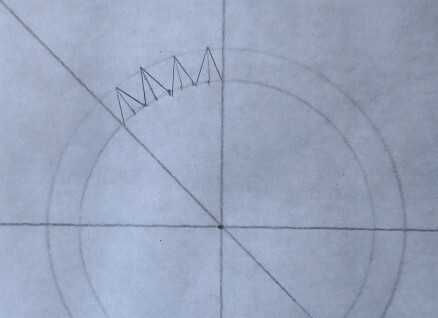 It is more difficult to embellish circles with knife points. 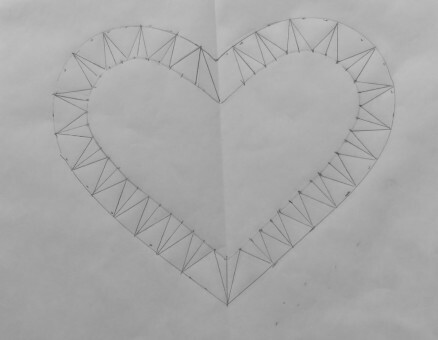 It is possible to calculate it using geometry, but this is too complicated for an embroiderer. 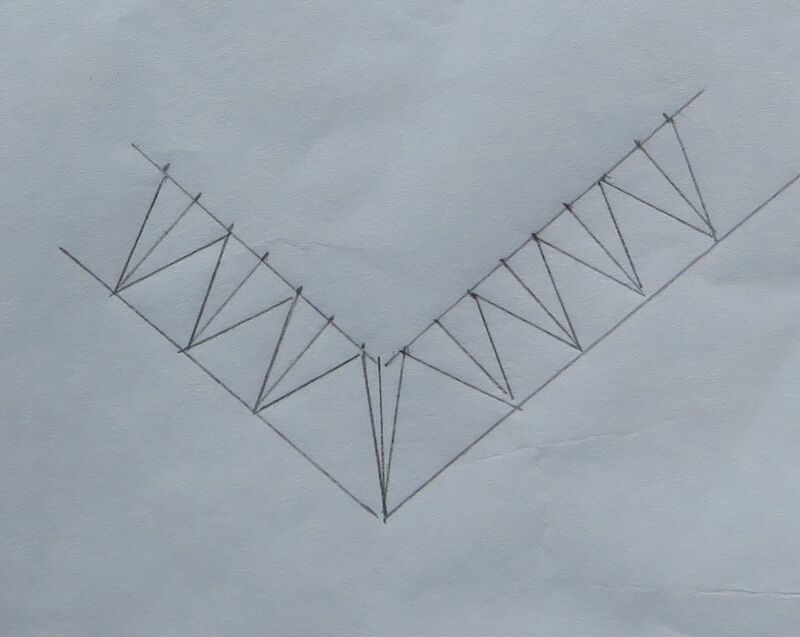 It is similar to the scallop decoration and so you can use the instructions here. Dear Luzine, Your tutorials are always so professionally done! Thank you so much for sharing! Dear Luzine, Your tutorials are a joy to read and work through. 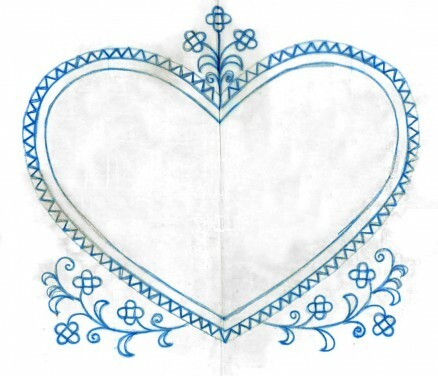 I have learnt an enormous amount about Schwalm embroidery from your site. I know how long it takes to put articles like yours together. Thank you!